The mystical Zohar's commentary on this weeks parsha (Torah portion) is the source of the esoteric verses recited by Chasidim at the start of Shabbos: Kegavnoh. This weeks parsha, Parshas Terumah, speaks of the Israelites bringing their tithes to Hakadosh Baruch Hu (The Holy One, Blessed Be He), and the Zohar connects this with the uniting of the Upper World with the Lower World. 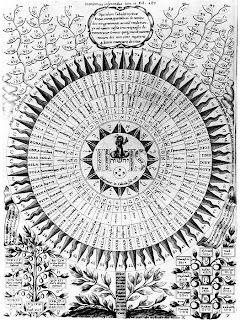 According to the Zohar, the Lower World is represented by Rachel, and the Upper World by Leah. When the Torah says that Rachel envied her sister, it is coming to say that the Lower World hopes and strives to elevate itself to the position of the Upper World. However, as the Torah shows, the two can only be brought together through Yaakov (Jacob, also called Israel, who represents all of the Jewish people), as is shown by his marriage to the two of them. In the passage of Kegavnoh, the Zohar relates how the Holy Shabbos is a one-day glimpse into what it will be like when the uniting of Above and Below is completed. As we are told over and over again, Shabbos is like a portion of the World to Come. This is why all work and attempts for gain must stop on Shabbos, and we enter into the Holy Day with only what we have prepared. This shows that in the World to Come, we will only have that which we elevated and unified in the earthly life. With the diverse paths of Orthodoxy, how is one best fitted to go about elevating the Sparks of Holiness here below? This type of mystical wording is left out of the more Litvish (non-Chasidic European ultra-Orthodoxy) writings, with the focus being simply on the act. This doesn't, of course, mean that the notion of and ability to elevate the Lower World was left out of Litvish works, but simply hidden. 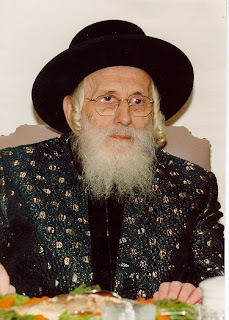 The great philosopher and tzaddik Harav Kolonymus Kalman Shapira, zt"l, spoke of this very notion when he said that the Baal Shem Tov (founder of Chasidism) and his followers did not transform Judaism and what went on when mitzvos (commandments) were performed, they only revealed the light. That having been said, is anyone who internalizes this "uniting factor" of mitzvos a Chosid? With so much of Orthodox Judaism today seeming to stem from levush (modes of dress), what's in a beged (garment)? 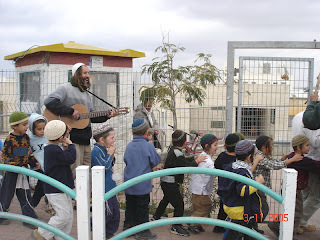 When describing what a Chosid truly is, the forementioned Rav Shapira said, "This is the way of a Chosid, he occasionally cries during a happy tune...and he sometimes dances to the tune of Kol Nidrei (a central text for Yom Kippur, the Day of Atonement." Furthermore, he says that "the essence of the Torah of Chasidus is not being satisfied with having one's intellect absorbed in Divine service...but he must serve G-d with all aspects of thought, speech, and action." This may not be different than the feelings of many truly devoted Orthodox Jews today, but the stark difference between historic modes of Litvish and Chasidish practice certainly reveal a difference. Today, things have changed as migration to America, Canada, and Israel has placed Jews from diverse backgrounds together, causing a meshing of Litvish and Chasidish ideas. A story illustrating the former difference is often told by Chasidim of every fold: A misnagdishe (opponent to Chasidus) rabbi and a Chasidishe rabbi were once walking in the village market. The two came upon a simple, unlearned Jewish man oiling the wheels of his wagon, and whipsering prayers as he did so. The misnagdishe rabbi scoffed at this man, "Hmmph, how terrible! This man can't even clean himself in order to show proper respect before G-d!" The Chasidishe rabbi, seeing the same sight, offered quite a different response, saying, "Ribbono Shel Olam (Master of the Universe), how holy are your children! Even when muddled in the difficulties of everyday life, they still remember to praise You!" Besides for the argument that, "Chasidic ideas aren't really all that different," another idea that people allow to get in their way of embracing the notion of Chasidus (or, even scarier, that they themselves might be Chasidish!) is that of a rebbe. Historically, when Chasidus was developing, the followers of the Baal Shem Tov dispersed to bring his teachings to comunities throughout eastern Europe. Because the Baal Shem Tov's students (each one of whom was a baki in his own right) were turned away by the more scholarly students of "Litvish" yeshivas, the newly-enlightened Chasidim gave over the message of mysticism and essential holiness to the untrained, the uneducated, and those who were cast out of the religiously educated elite. Since this group made up the original fold of Chasidic Jews, they obviously put great trust in their rabbis to teach them that which they did not know. This set in motion the idea of a rebbe, who was a figurehead of the community, often thought as being lucky enough and knowledgeable enough to truly internalize Holiness in a way that they average, unlearned person could not. While there may be some, even many, Chasidim who continue to have such a strong attachment to the "rebbe" of whichever Chasidus they are members, others have come to show that this is no longer needed to such an extent. Growth and availability of yeshivas, religious books, and the merging of communities now allows for all Jews to receive a proper religious education. 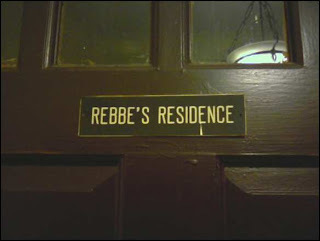 Even Rebbe Nachman of Breslov, himself the grandson of the Baal Shem Tov, said that the most important thing is not to have a rebbe, but a manhig, someone who relays customs and traditions, giving religious duties a unique flavor. Furthermore, Rebbe Nachman believed that a tzadik (righteous person) was important to motivate groups of followers, but nothing on the level of what many ascribe to a rebbe. This brings me to an idea that I've expressed many times before in conversations with people. Someone can go their entire life dressed in Chasidic dress, being impressed by the importance and pomp of a rebbe, and never truly internalize Chasidus. Another person, someone in Berkeley, California who never sits in a tish at Skver, or Satmar, or anywhere else, can learn from the seforim of the Holy Baal Shem, and feel great motivation from a truly pious, yet hidden tzadik. This person may go on wearing Birkenstock sandals, jeans, and flannel shirts, yet begins to wear a yarmulke, tzitzis, and keep Jewish law fully, as he comes to truly feel the holiness of mitzvos. Which is a Chosid? From my experience, and from what tzadikim have said was the true derech (path) of the Baal Shem Tov, a Chosid is someone who sees the light of Torah and comes to internalize it. From this perspective, the second person is a true Chosid, and the first is simply an old-school Litvak is Chasidishe levush. I think this is something that Chasidic leaders once understood, but has been lost by many over the years. This whole notion may turn definitions and ideas totally upside down, but what's wrong with that? Someone who is truly a Chosid can learn as much mysticism from the Mesillas Yeshorim as from the Tanya, and get a healthy dose of mussar (ethics, what some pose as the anti-Chasidus) at the same time. This is because they internalize and feel every word of Torah in their neshama. This is what it means that a Chosid is someone who cries during a happy tune, and dances to the tune of what should be a mournful time. A Chosid does this because the beauty of Torah and emes (truth) is so real to him that he has no way to express the wonder except through tears, and his trust in and connection to G-d are so great that he actually lives the fact that redemption is immanent, which brings joy. In one of the first conversations I had with perhaps the closest friend I have, I was asked to describe Chasidus as concisely as possible. My answer to him was, "Ivdu es Hashem b'simcha," or to serve G-d in joy. To him, he said, Chasidus was, "V'ahavta le'rey'acha kamocha," which means to love your neighbor as yourself. In the end, what's the real difference? Someone who serves Hashem in joy has no other option than to love his neighbor as himself, and someone who truly loves his neighbor as himself can feel nothing but deep joy in doing Avodas Hashem (the work of G-d). Both, though, must come from a person who internalizes learning and Torah, sees his place of importance in doing the task of a Jew no matter how hard and bitter the task, and can be a "Chusid" of even a talmid from a Litvishe place like Ponovitch. Afterall, the Zohar reminds us over and over again that the point of it all is to unite the Lower World and the Upper World by knowing and act out the truth of "Ein Od Milvado," that there is truly nothing except for G-d. In a conversation I had not so long ago, I expressed my personal ideas and feelings about Chasidus, and the response I received was basically, "Chasidus? Judaism? What's the difference?" My thoughts exactly. Perhaps true Chasidus is just a bit more honest about the ikar. "...a Chosid is someone who sees the light of Torah and comes to internalize it." "Chasidus? Judaism? What's the difference?"